FINALLY! Success with my hair color. I'm glad that I endured growing out my roots for four months. The stylist bleached that untreated hair and, at my request, used Arctic Fox "Purple Rain" dye. She put black on the rest of my hair. 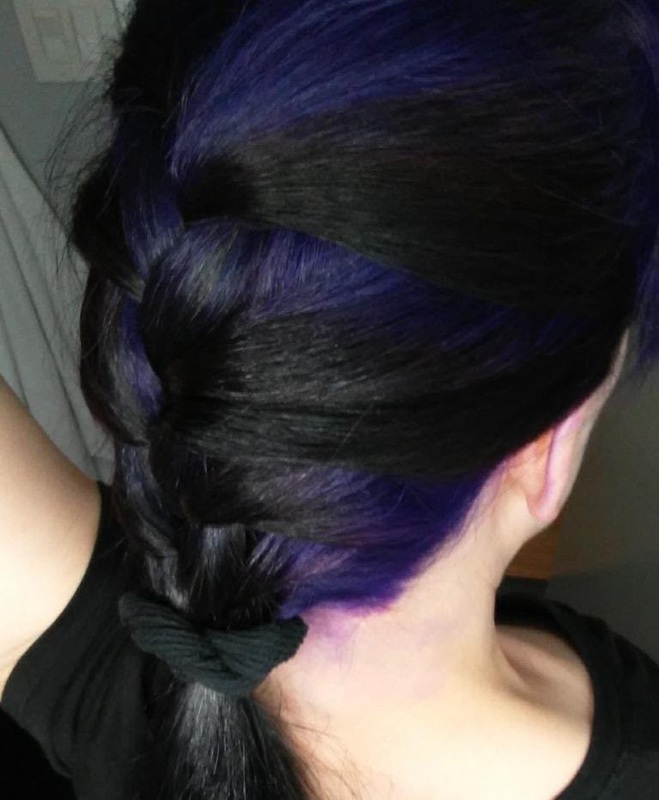 The purple is lovely, and freshening the black made my hair look healthy and shiny. I am so pleased with the result! 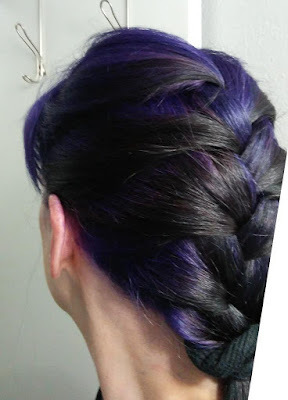 I did a quick french braid, and I think it shows off the two colors nicely. As always, my camera skews blue. The actual color is a true purple. Looks great! Any chance we'll see the front? Thanks! Yes, I'll post pictures soon. Your colors look gorgeous! I’m so happy that your hair dying experience finally worked out the way you wanted it too! THe way the colours blend in the braid is beautiful! Thanks! I think I'll be wearing braids often. Amazing! And Laura is right, the hairdo looks so beautiful with the ombre hair! Pretty! I love braids, it looks so cool with two different hair colours.